Battlefront Games runs outdoor laser combat games in the wild woodland of the Queen Elizabeth Country Park just off the A3 near Petersfeild in Hampshire. Laser action combat has all of the excitement and adrenaline rush as paintball and airsoft but without paint or the bruising! 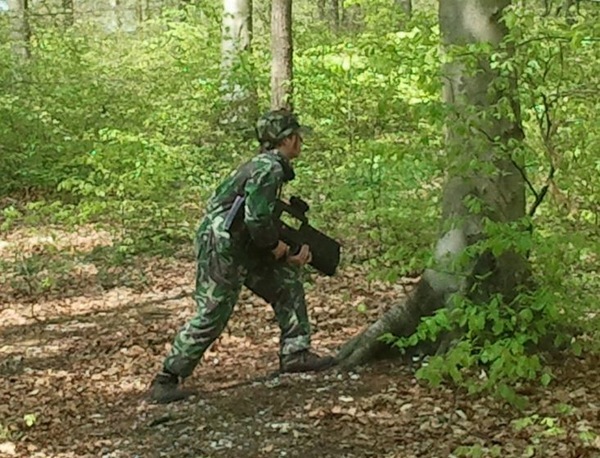 Our laser combat games can be played both inside and outside. 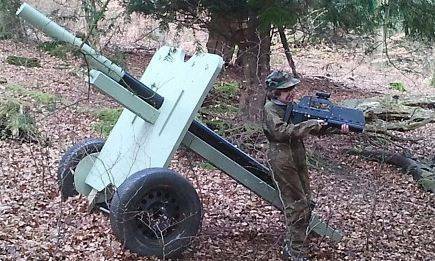 We use the latest high tech military-style sounding guns with fantastic accuracy and range. You will experience all the action of the battlefield with none of the pain! 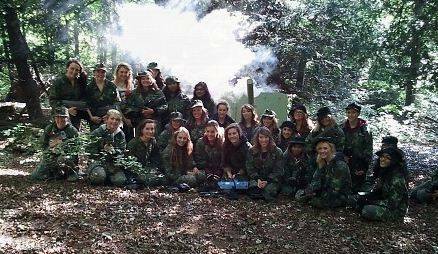 Get in the mood for your hen party or stag night with a laser combat shoot-out! 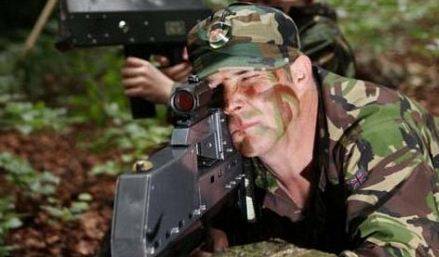 A game of laser combat is the perfect way to get your stag night or hen party off to a flying start. 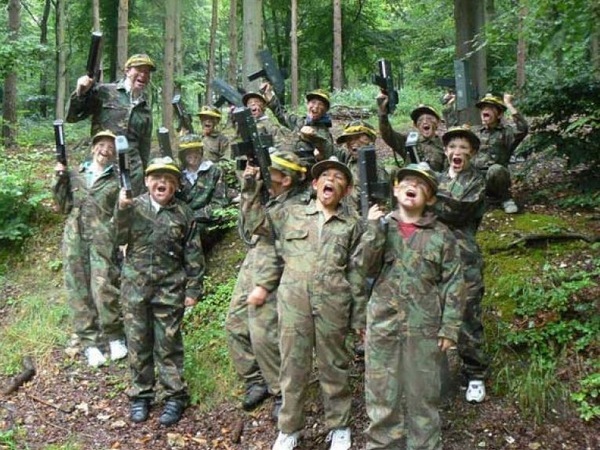 It’s a great way of having fun with all your mates and, unlike paintballing, you won’t be comparing bruises the next day! If you are the best man or maid of honour, get in touch with us at Battlefront Games to book an action packed session of laser combat in our awesome woodland setting. Are you looking for an unusual birthday party idea? 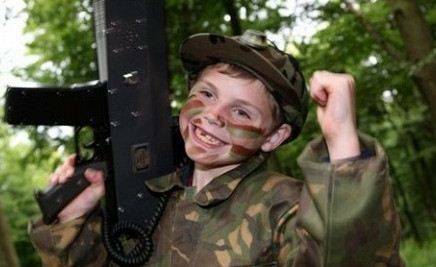 Battlefront Games makes your birthday party a day to remember as you and your friends run around the woods of Hampshire playing live action laser combat! 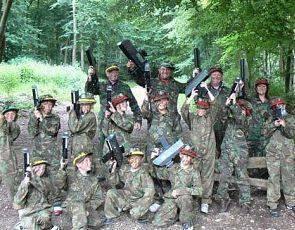 Laser combat is similar to laser quest but takes place outside which is perfect for a gang of kids to make loads of noise and let off steam! 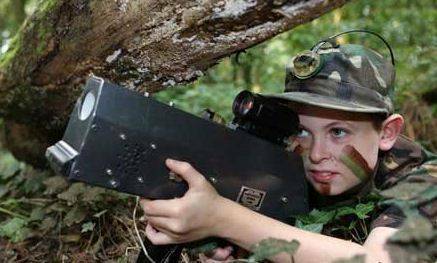 Our laser shooting battle game is suitable for kids as young as 8 right up to fit and healthy 80 year olds! Unlike paintball, our laser combat games aren’t messy and don’t hurt, so your guests will all leave with a smile on their faces! If you are laying on a corporate event and are looking for an unusual entertainment attraction then why not book our mobile laser combat service? Our mobile laser combat will be the talk of the party! We can set up our laser combat game in any suitable location, outside or inside. You won’t have to worry about anything as we provide all our own equipment and set missions and challenges to suit your individual event. Just contact us to find out how we can make your event extra special!